ChangeLab Solutions’ healthy housing work focuses on what it takes to make safe, stable, and affordable housing a reality for everyone. Our tools connect the dots between housing and health and offer communities practical steps to achieve their housing policy goals. Get get started, check out the tools we've highlighted here. 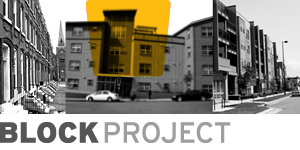 For our BLOCK Project pieces, those are published as a Medium publication that we’re using to ignite the conversation about what it takes to make healthy and equitable housing a reality in this country. Follow ChangeLab Solutions on Medium to be notified of our updates! The Health & Housing Starter Kit helps local institutions take their first steps toward creating bold and innovative health and housing initiatives. It includes case studies for 3 institutions that have been working on health and housing initiatives for over 10 years and Building Blocks, which explore a range of strategies based on the work of our case study sites. Stable, quality, affordable housing is central to the health of everyone. When new demand and investment drive up housing costs in historically affordable neighborhoods, longtime residents are more at risk of displacement. Practitioners and community advocates can help preserve, protect, and expand the number of affordable rental housing options. Housing promotes health, when it is affordable, in good condition, and located near jobs, schools, and health-promoting resources. State governmentss can encourage the development of healthy housing by providing federal housing tax credits to developers who build quality, affordable rental housing with access to those resources. Substandard housing conditions can cause or exacerbate health problems, and local code enforcement programs are the first line of defense in ensuring residents are not put at risk. To be effective, these programs require strong housing codes, well-trained enforcement officers, and cross-agency collaboration. Rental housing is more likely to be in substandard condition than owner-occupied housing. Unlike rental code enforcement, which is complaint-based, Proactive Rental Inspection (PRI) programs take a different approach: inspections of covered properties are mandatory and periodic. PRIs have proven to be more effective in protecting tenants’ health and safety. Poor housing can contribute to a wide array of health problems. It can also have a negative effect on neighboring property values and can contribute to blight. Our model ordinance assists cities and counties interested in establishing a local proactive rental inspection (PRI) program to quickly identify and target code violations. The condition of our homes can either promote health or make health problems worse. To ensure housing contributes to positive health for residents, planners, health departments, and advocates should work together to include healthy housing policies in their communities’ comprehensive plans. Comprehensive plans address a range of community issues and include specific elements for future development.